There is something eternally and utterly irresistible about black and white renderings, as is once again proved in this residential interior design. 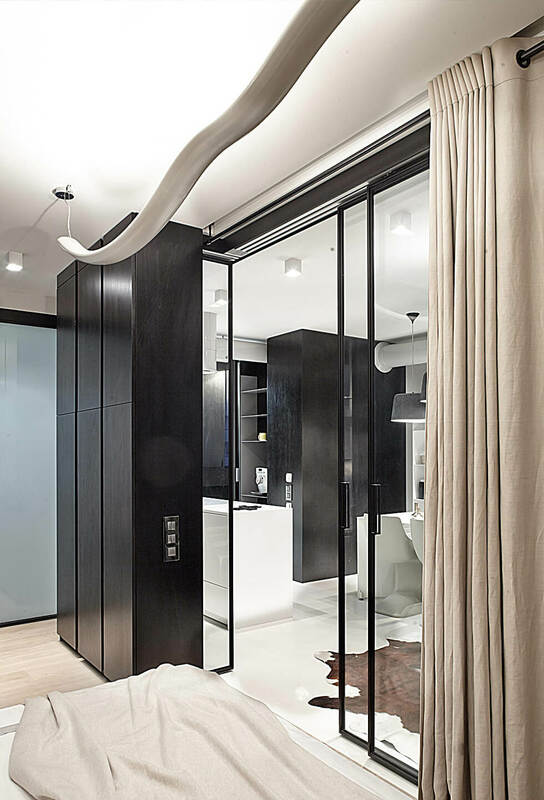 Perched on the 24th level of a skyscraper on Getmana Street in Kiev, Ukraine, the project by Olga Akulova Design playfully moves between the polar opposites to create its very own opus in three dimensions. 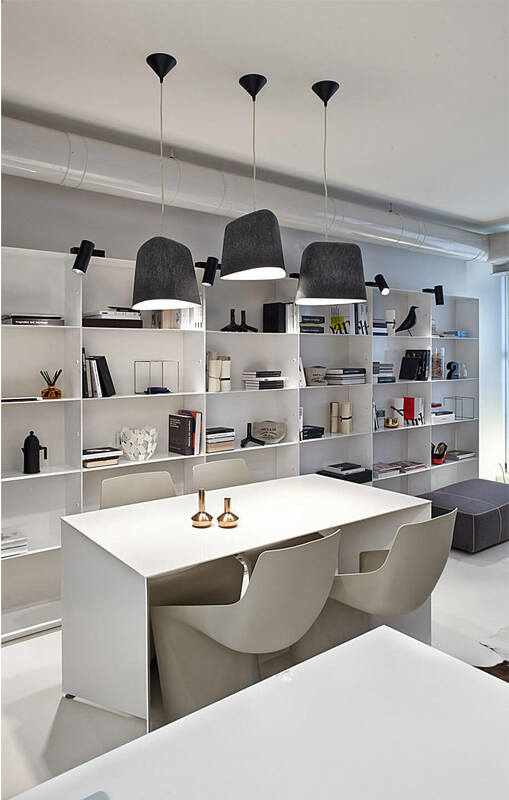 Transforming a two bedroom pad into a fluid, open planned minimalist apartment, the modern black and white interiors here blend and bend boundaries to create a multitude of eye catching frames. The walls between the existing bedroom, guest room and bath were removed to open the apartment up to new possibilities and a wash of natural light, aided by the upgraded aluminum windows. Indoors, the open layout thus smoothly transitions from one space and function to another inspite of minimum structural adaptation. 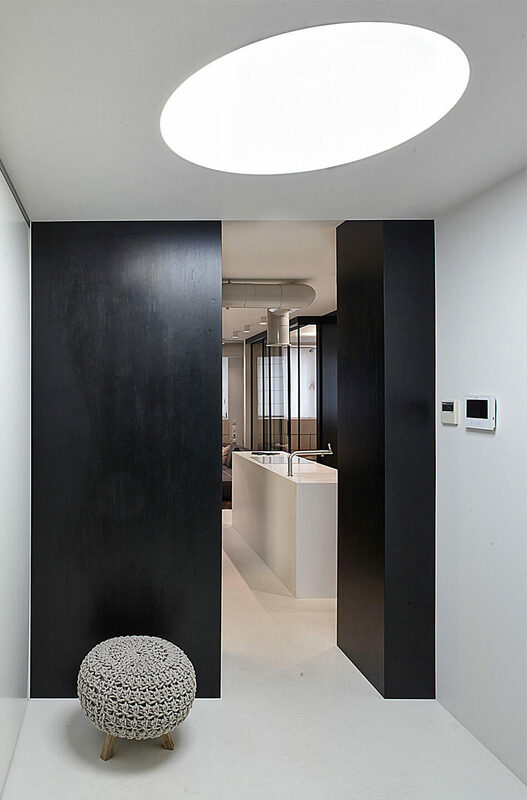 Rich black surfaces anchor this movement, offering points of turning in the overall scheme; articulated into highly individual elements, these bring both functional and aesthetic efficiency to this modern black and white interior.